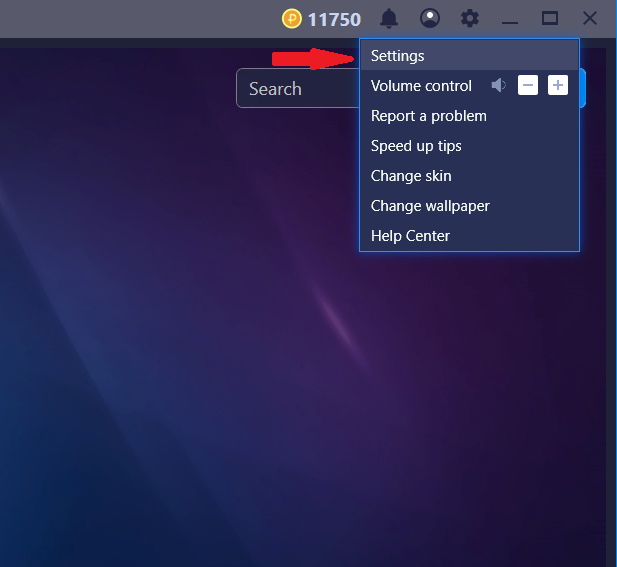 How to use Backup and Restore on BlueStacks? This article will acquaint you with the Backup capability that saves a time-based snapshot or a copy of BlueStacks. BlueStacks also supports the Restore capability, which is the inverse of a backup, it restores a backed up copy created earlier. 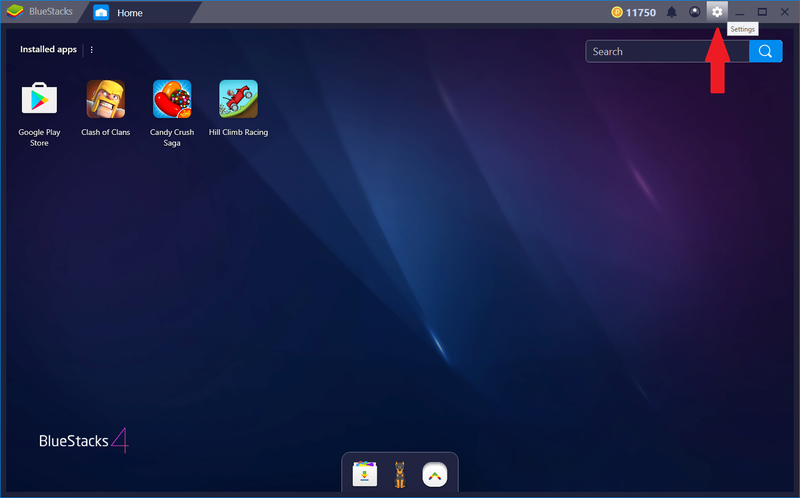 Backup lets you create a copy of your existing BlueStacks data locally on your PC so that you may Restore it in the future. The capability is similar to the Microsoft Windows System Restore. 1) Why you should Backup your data? Primarily to save important files and protect from existing installation of BlueStacks becoming corrupt, system crash, hard drive failure or power outage. It is very important to do regular backups to prevent the loss of data. Backup is created at a certain point in time and you may install more apps thereafter. 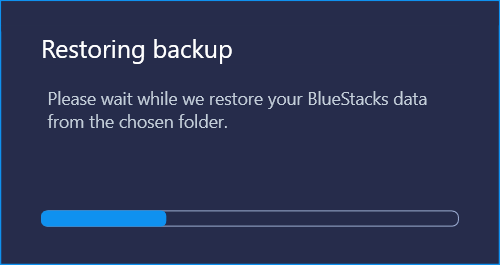 When you restore this backup, the apps installed on BlueStacks after the backup was created will not be restored. You may lose your progress in the app in case that app data is not synced with the server and is stored locally on the BlueStacks app player. 1. Click on the settings icon on the top right bar as shown below. 2. Click on "Settings" in the drop-down menu. 4. 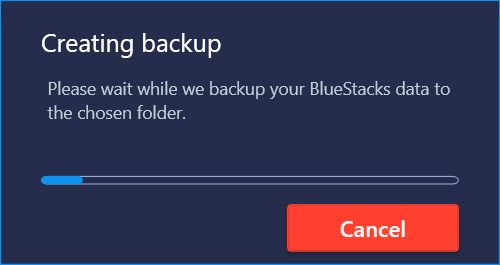 In order to backup, click on "Create backup" button and confirm whether you want to start the backup, proceed by clicking "Yes" or "No" at the backup prompt. Note: You will not be able to use BlueStacks while the backup is in progress. 5. Upon clicking "Yes", you will be asked for the location where the backup copy should be stored. For illustration, we chose "Desktop" as shown in the screenshot below. After choosing the location, click on "OK". 6. The progress of backup creation can be seen as shown below. 4. 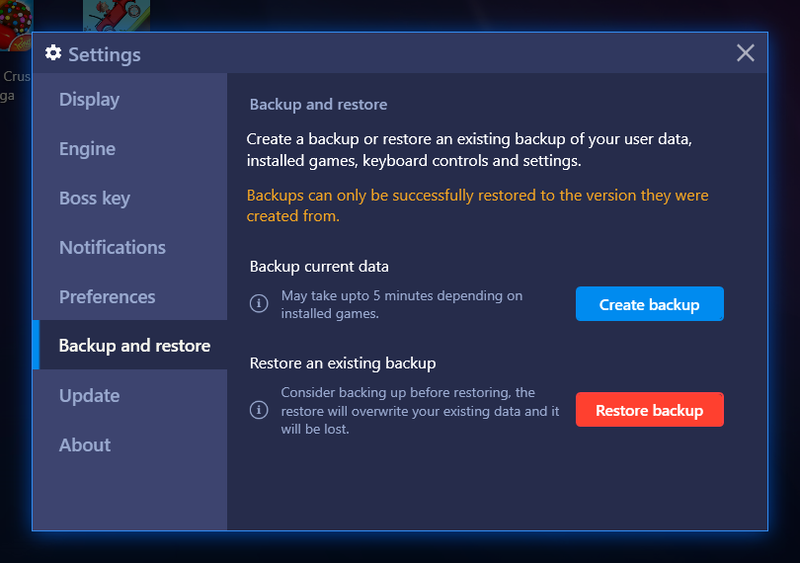 In order to restore, click on "Restore backup" button and confirm whether you want to restore the backup, proceed by clicking "Restore or "Cancel" at the backup prompt. 5. Upon clicking Restore, you will be asked for the location of your saved backup. Please select the correct folder. 6. The progress of restoring backup can be seen as shown below. Please do not use BlueStacks while Backup & Restore operation is in progress, wait until the operation completes.